Is there a Comcast Internet service outage in your area? If your service is running a little slow, or completely down then you would likely see details within the status reports below. Comcast provide Internet branded as Xfinity in around 40 states across the United States, also they offer phone and television services. If you use the XFINITY My Account app then you already have a way to check for a Comcast service outage, although those of you without the app can still check at Comcast.com by signing into the My Account section. You can see outages along with your local city within the status report section below, which will help others trying to find out if their Internet is down today. If Comcast is down today, then reports will be found below. I am in Pekin Illinoi and i have no Internet, is this down to an Xfinity scheduled maintenance or something. Internet is down in 32086, that is now 8 days with nothing. My internet is down but the cable is fine. I am in area 15236. I am having serious outage issues in Vancouver WA, the internet keeps going down and not matter what i try with the router etc nothing makes it work. I have had a funny connection for like 4 hours now, its on and off in San Jose. I am in San Francisco and have no Comcast Internet. Comcast Outage in California, i had something recording on DVR and it did not complete, time to say bye to Xfinity. Anyone in Denver having issues with lost TV service? I have no Internet connection in Tuscon Arizona. Comcast is having serious down time issues because I can access Twitter but nothing else. If the problem is to do with TV services how come I cannot get any internet or access Twitch or connect to my PlayStation? Looks like Comcast Xfinity TV customers are having issues with service. Wonder what the issue is? My Comcast WiFi has been down for like 12 hours now. Seems to be a complete outage seeing as i cannot get On-Demand. Comcast is down today July 11 ans unable to get any Xfinity OnDemand, been down all day now. I have not go Xfinity TV at the moment, been down for like 2 hours now for me and the family. I have reset the box and still nothing. I have to keep turning wifi off and then back on again to reboot. This is happening about 20 times a day with losing connection, it does not matter if wired or wireless. I am in Indiana and have no email, internet or TV, cable is the worst ever. Surely its best to get a dish. My Comcast email service is not working, why is it down yet again? I have no Xfinity service, this is now day 2 and not happy at all. Get the wifi working please comcast. 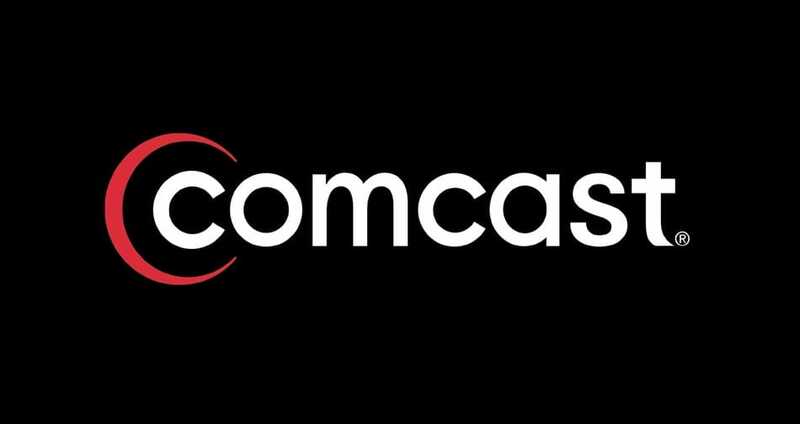 Comcast service outage is occurring in Central Mass. Yet again another Comcast outage, we night as well give you access to our bank accounts and let you take our money for nothing. I just an on screen message saying something is not right, there seems to be a connection issue. Online there is nothing saying there is an outage but there clearly is. There is a major Comcast Internet outage at the moment, I got nothing in Northern California. There are no reports of Comcast doing maintenance in Seattle, I even phoned them and they said they cannot see any issue. Is this what they call customer service. I have no internet in Seattle, it has been like an hour now. I have tried calling customer service but waited far too long. Is there a Comcast outage today? The reason I ask is because my service keeps going offline then it comes back then goes again. There seems to be many issues with Comcast at the moment, the connection is very poor. No comcast service at all in 98408. My Comcast service is down in 98513. My Internet is down today, great. So needed t check my emails as well on my laptop. 22206 Internet has been dropping twice a day for the past month, and is now INCREDIBLY slow. Webpages take upwards of ten minutes to load, assuming they don’t time out or the connection doesn’t reset. I hope Earthlink runs into my house, I’ll take their lower speeds if it means consistent, ACTUAL service. 14 hours my Comcast service has been down now. I am in New Jersey. Comcast’s Internet is to on and off for me, how would they like it if my monthly payments were like on and off. Should i decide how much money i should give them like how much net they give me. I pay for a certain amount of meg for a certain amount of money. Comcast down yet again, surely Comcast has to prorate, all these days without service (Two Days solid for me) – But has been very sporadic for weeks now. On Comcast and wish I wasn’t, cannot even play any online games on my Xbox One because Internet is poor. Worst internet i have ever had. It is a little strange how i decided to end my time with Comcast with just under a month to go and yet my service seems a lot worse than it was. Surely a coincidence right? In 48322 and Internet keeps disconnecting. I have not had any Comcast Internet signal since midnight EST, I really want to watch my fave show as well. Comcastvis out for the second time today….of course in the middle of news and prime time. DNS lookup failure problems for me. Paying nearly $90 for a service that is not working for me most of the time, looks like i will go AT&T. Comcast services are down for me in Stockton, not sure why as cannot find any official information. In Union City and Comcast Internet is not working today. Comcast Internet is down in Oakland. I heard 4am for internet to come back up in Elk Grove. Comcast down today in Elk Grove. There’s an outage in Elk Grove ca, any ideas when this will be fixed? Comcast is down for me, the service as been poor at best for most of this year so far. Having issues this early Monday morning connecting to the network, is anyone else seen Comcast issues around Chicago? TV and total Internet black out, outage in 60189. What a joke, is your cable down in 30324? 30068 cable down. I have phoned them a few times, and keep getting put on hold each time, which ends in a busy signal. I’m in Northwest Chicago and customer service us down with internet limited, or even no connectivity at times. It’s been like this for hours. Keep getting packet loss for my TWC. Internet is very slow in Seattle today, loading slow on download and upload speeds. I tried customer service, but no real help. Internet down in Blaine wa for the last 40 minutes, anyone else? Customer service keep telling me that my wireless router is causing my problems, but Comcast is still down in ABQ and I don’t think it’s my router. The XFINITY My Account app isn’t working on my iPhone, although my wife doesn’t have a problem on their Android phone. Internet is really slow in Chicago, IL.